We’re already starting the Winter session of Pizza Tuesday at Saint Saviour! Time flies when you’re eating pizza. Tuesday are Pizza Tuesday at our Academy! 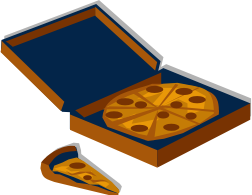 Families have the option to have 1-2 slices of pizza for each child delivered fresh from a local pizzeria. If interested, complete the Pizza Tuesday Registration Form and return it to the front office. Please note you can type directly into the form.